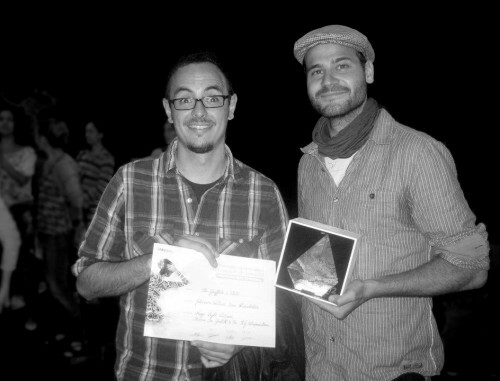 “Petit Gruffalo” awarded in Annecy. Last weekend, “The Gruffalo’s Child” was awarded the crystal for “Best TV Special” at the Festival International du Film d’Animation d’Annecy. Above you can see animators Max Stöhr and Tobias von Burkersroda shortly after accepting the award. We’d like to thank the entire team for their fantastic work!